This article is part of a roundtable on JVP’s statement on Zionism. Click here to read the rest of the conversation. IT IS TOO EASY to pass over the first sentence of JVP’s new statement “Our Approach to Zionism” but it is a mistake to do so: “Jewish Voice for Peace is guided by a vision of justice, equality and freedom for all people. We unequivocally oppose Zionism because it is counter to those ideals.” Herein lies the core of their entire argument: the recognition that Zionism is a political movement which embodies Jewish national self-affirmation and determination, and not a movement that embodies “justice, equality and freedom for all people.” That these two ideas are incompatible has become increasingly clear in contemporary Israel. The question is: is anti-Zionism the only option for a group devoted to “justice and equality”? Israel cannot be both a liberal democracy and a Jewish state, and thus JVP’s desire for “justice, equality and freedom for all people,” is not a value that the state can achieve. In this sense, JVP frames their choice not dissimilarly from the way writer Gideon Levy did in his recent op-ed in Haaretz, “It’s Leftism or Zionism — You can’t have both.” Even as such binaries are almost always deficient, they also are heuristically useful. If your core values are “justice, equality, and freedom for all people,” Zionism is a hard pill to swallow; with this statement, JVP chooses to spit it out. The statement’s weakest link in my view is that it does not distinguish between principle and practice. That is, it looks at Zionism in what it considers a postmortem state without exploring the roads not taken. Now, I don’t mean to dismiss the reality of the present Zionist state, chosen by its Jewish citizens, with the common argument that “Zionism can mean many things.” As true as this may be, it can’t mean everything, or it means nothing, and the present circumstances can’t be deflected as irrelevant to the equation. But looking at Zionism strictly from our present moment also has its drawbacks. It ignores a series of real “Zionist” possibilities where “justice and equality” were paramount. These writings today may be largely inoperative, and given the hegemonic form of Zionism they might even be fairly considered “anti-Zionist,” but they are still worthy of consideration and evaluation. Both Hannah Arendt’s “Zionism Reconsidered” or Martin Buber’s critique of Ben Gurion were contemporary examples that shared similar commitments as the JVP statement; both Arendt and Buber were Zionists. Or we could read the Zionist Yeshayahu Leibowitz’s essays “Occupation and Terror” or “Forty Years After” to get a sense of Zionism’s own self-critique after 1967. None of these writers considered themselves “anti-Zionist,” and so perhaps today a kind of “critical Zionism” might deserve revival, rather than burial. Of course, we can never know what any of these thinkers would think about the Zionist project today, about the “nation-state law” and the “loyalty law,” or about the continued de facto annexation of the West Bank. But regardless, if the authors of the JVP statement conjured more from the history of Zionism’s internal critics in addition to the history of anti-Zionism, they may have written a more nuanced document, one more compelling to their detractors. The reason I like the JVP statement, with all its flaws, is that it pokes the eye of the “Zionism uber alles” modality that dominates the American Jewish landscape. Anti- and non-Zionism today will have to look very different than pre-state or even early state anti- or non-Zionism. And those new forms will have to account for certain realities: The state exists, with over six million Jewish inhabitants. And, though I certainly hope this isn’t the case, its own growing ethnocentric obsession may cause what is left of its democracy to collapse. Until very recently, Zionism and anti-Zionism co-existed as two ways of cultivating Jewish collective existence—most mainstream Jewish organizations were not supportive of Jewish nationalism until the post-war era. Subsequent historical exigencies and ideological fervor mostly silenced the once-flourishing conversation. So for its sake, and also for the sake of Zionism, I am glad it has been resurrected as the beginning of a more nuanced and complex conversation of Jewish existence in the 21st century. 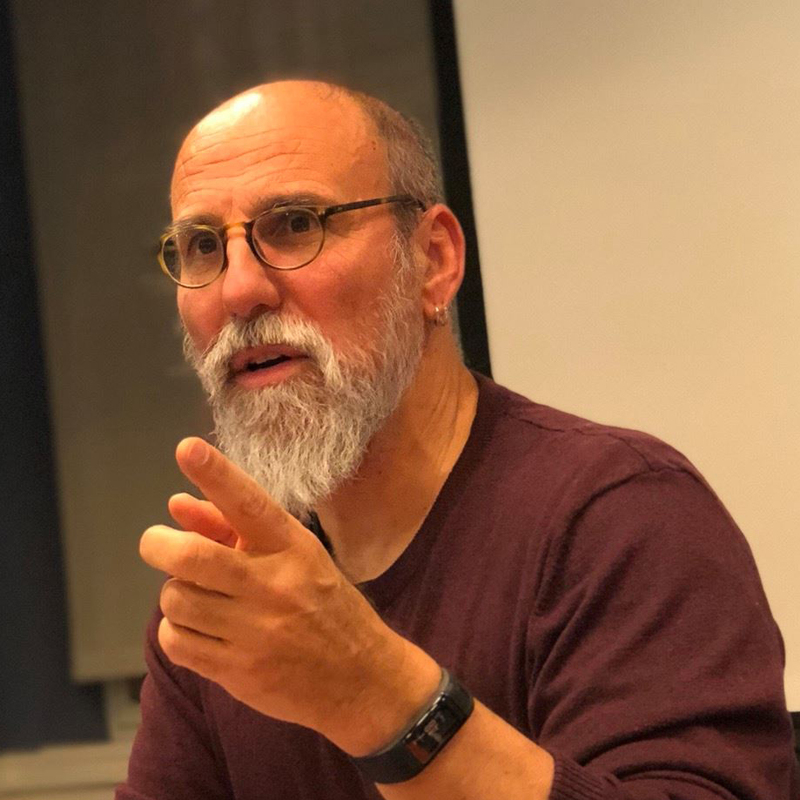 Shaul Magid is the Jay and Jeanie Schottenstein Professor of Jewish Studies and Professor of Religion at Indiana University/Bloomington, the Distinguished Fellow in Jewish Studies at Dartmouth College, and a Kogod Senior Research Fellow at The Shalom Hartman Institute on North America.